Clean, cozy, affordable 9 room motel located in Onaway. Reservations available. We offer a variety of options for your vacation requirements. campsites for tents and pop-up campers. Lots for R.V. 's, cabin style motel rooms from basic to full with a kitchenette. Tower Shore Motel and camping offers a wide variety of things to in every season. The 211 Bar & Grill has been "The Gathering Place" for great food, fun and socializing since 1946. A favorite family restaurant, the "211" is home to fresh ground hamburgers, hand-tossed pizza, complete dinners and, of course, great service. We are dedicated to Michigan and its beautiful North Country and use only Michigan grown products in our recipes, whenever possible. Open 7 days/week for dinner, Fri-Sun for lunch. Live entertainment. 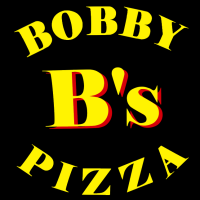 Offering take-out pizza, pool tables and arcade games. Dairy Queen featuring soft serve ice cream, ice cream cakes, fast food service, subs, hotdogs and more. Family restaurant featuring lunch, dinner, dine-in, or carry-out. Seasonal outdoor patio and indoor fireplace. Comfort dinners, fish, pasta, homemade pizza, burgers, panini, entree salads, and more! Family style restaurant offering homestyle cooking and a family atmosphere. Serving breakfast, lunch and dinner. National leader in custom steel fabrication, specializing in work for power, marine, mining and other industries. Registered forester buying standing lumber and producing quality grade lumber and pallets. Dedicated to monitoring Black Lake fore environmental and ecological changes and to promote activities which will enhance water quality. Non-denominational, contemporary, Christian church offering open door, come as you are worship and fellowship. Helps employers and job seekers by connecting talent with opportunity. We are a church that does more than just do Church. We strive to be an integral part of making our community a better place to live. Real Church. Real People. Reaching Out. A church with Open Hearts, Open Minds, Open Doors. United Methodist's practice an "open table" meaning that all people, whether baptized, believer, or seeking, you are welcome at the Lord's table. PICCOA provides compassionate care to assist older adults in Presque Isle County remain independent and in their own homes. Services available to Seniors (60+) include nutrition, transportation, and in-home services. Presque Isle District Library is our community connection. Our goal is to provide services that include artistic, cultural, and educational programs that meets the needs and interests of our patrons. 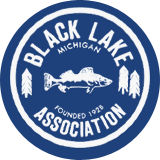 A non-profit organization that assists fisheries managers in the rehabilitation of lake sturgeon, a threatened species in Michigan. Motto: Dedicated to the future of our sturgeon. Local tractor club. The Tip of the Mitt Antique Tractor Association is Northern Michigan's premier antique tractor association. We hold our events at the Onaway Antique Tractor show grounds at the corner of Highway M-211 and Twin School Road, just 2 miles north of Onaway. 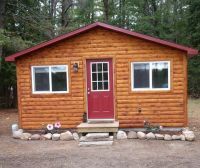 Northern Michigan's most attractive family-oriented private club for hunting, fishing, and outdoor recreation. Party store with beer, liquour, propane, gas , deli and Black Lake apparel. Wheeler Chevrolet Buick is Northern Michigan's premier full service automotive dealership located on N Straits Hwy in Cheboygan, Michigan. We are committed to giving you the best experience when purchasing a new or pre-owned vehicle. We can service all makes and models, as well as repair any damaged vehicle in our collision center. Accompanying these services we also offer rental vehicles that are available upon request. Come see why we are ranked number one in customer satisfaction among GM dealers from Detroit to the Soo. Auto parts sales and small engine repair. Corporate owner of 98.5 UPS, ROCK 105, Classic Rock The Bear 98.1, Big Country 102.9, and MAC 106.3. Serving all Northern Michigan Real Estate needs since 1993. Cleaning & servicing residential and commercial septic systems, as well as portable toilet rentals. Full Service Bank specializing in Mortgages and Business Loans. Citizens National- the NO Closing Costs Bank! Northern Michigan's premier comprehensive welding program, preparing students for a successful and rewarding career in welding and manufacturing. Merchant credit card processing/all electronic transactions for businesses. General Dentistry for the whole family. Standard Plumbing & Heating serves all your plumbing, heating and cooling needs. From clogged drains to contracting for commercial buildings, Standard has the staff, experience and quality products to ensure your job is done right the first time, on budget and on time. 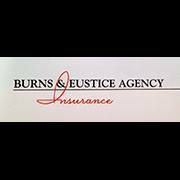 We serve both sides of the I-75 corridor, with fast efficient service. Serving Onaway and northern Michigan with professionalism and expertise for all your real estate needs. Member of the Water Wonderland Board of Realtors. 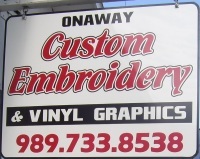 Family owned and operated full service printing and marketing services with over 50 years experience. Services include direct mailings, brochures, postcards, posters, business cards, logo development, envelopes, raffle tickets, promotional products and more. Providing comprehensive primary health care services to Northeast Michigan. Northern Michigan’s largest home healthcare provider, offering services to patients and their families in northern lower Michigan and the eastern part of the Upper Peninsula. 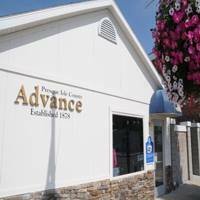 McLaren Home Care & Hospice operates three home medical equipment stores, offers private duty nursing, skilled home health services, and adult day services. Hospice care, offered through Hospice of the Sunrise Shore, Hospice of the Straits, and Hospice of Little Traverse Bay, is available in-home or at two hospice houses within northern Michigan. Medicare certified, Blue Cross-approved, and CHAP-accredited. Interested in membership? Please fill out the application packet below.